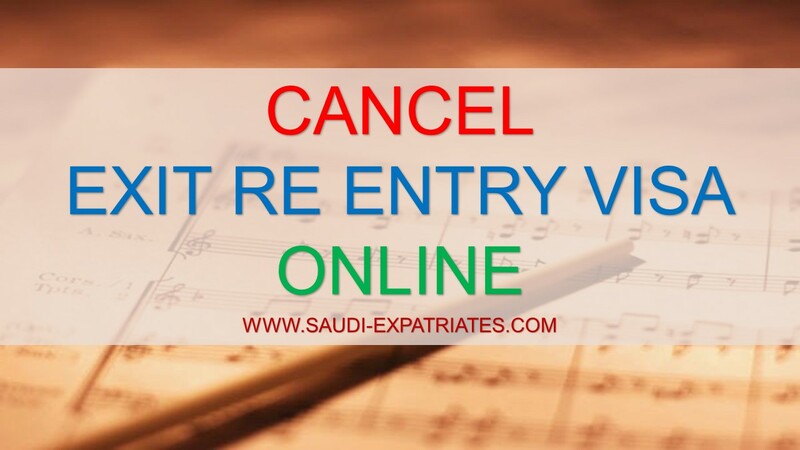 Once family Exit Re Entry Visa issued, Your dependents should travel within 90 days or "Exit Before" date mentioned on visa, In case of not traveling within that days, You must Cancel Exit Re Entry Visa Online (Fee non refundable), Other wise you will face violation penalty of 1000 SR for 1st time, 2000 SR for 2nd time and 3000 SR for 3rd time. There is no charge for canceling exit re entry visa. Follow this procedure if you are sure to cancel your family or dependents exit re entry visa. 1. Login to your MOI Absher account by following this link "www.moi.gov.sa", Enter your Username, Password and then Verification SMS Code. 2. 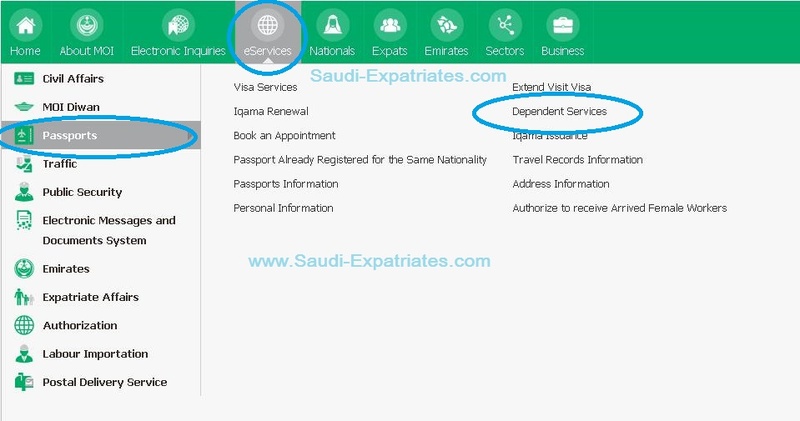 Now click "eServices" from the top, then click on "Passports" from the left menu, Now you can see an option of "Dependent Services" at right side. You can also refer the image below. 3. Now you can see details of your all dependents, You can also see an option of "More details", When you click on it you can see detailed information of your dependents. 4. 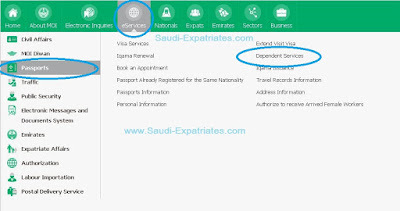 If you already Issued Exit Re Entry Visa for your dependents then you can see a button of "Cancel Visa" at last just beside "Print Visa" button. You can see Cancel Visa button only if you already issued exit re entry visa for your dependents. 5. If you are sure to Cancel Visa then only you can click on that button "Cancel Visa". Once you canceled your family Exit re entry visa you can issue again by following this article "Issue Family Exit Re Entry Visa".